Credit to the the youtube uploader too. heart being a Sprintcar racer himself. 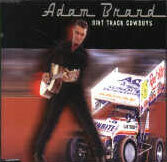 seeing Adam perform this song was on "Hey Hey it's Saturday"
with a sprintcar in the studio.